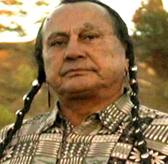 Russell Means has been featured in numerous feature films and television programs including Last of the Mohicans, Natural Born Killers, Pathfinder and numerous television programs including Buffalo Girls. Russell Means was a co-founder of the American Indian Movement and was one of the leaders that took back Wounded Knee and brought international attention to the plight of American Indians in 1973. He continues to work as an actor/activist and is the author of his autobiography Where White Men Fear to Tread. Jay Red Hawk is an expert on the Plains Indian tribes and works as a cultural consultant for numerous film and television productions. He recently appeared as a weapons expert on SPIKE TV’s Deadliest Warrior where he displayed his skill at horse archery. He has worked as an actor in such films as Inside Adam Swit, America: The Story of Us, Skins, and was featured in Oliver Tuthill’s documentary Wounded Heart: Pine Ridge and the Sioux. He is the South Dakota state organizer for the national organization Fathers 4 Justice and the Executive Director of Project 28. He has worked with youth from all nine reservations in South Dakota to keep alive the tradition of Plains Horse Archery and traditional bow making. 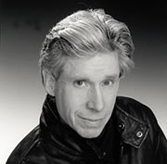 Oliver Tuthill first found work as a professional actor in Hollywood during the 1970s. He has appeared in numerous films, television movies and series including Quincy, The Amazing Spiderman, Kaz, It’s Deadly and Panic in Echo Park. He recently was featured in the narrative film The Right to Bear Arms starring John Savage. He has narrated numerous documentaries including Complex: Life Inside a Section 8 Apartment and Children’s Rights: Why America Says No featuring Congressman Jim McDermott of Washington State. 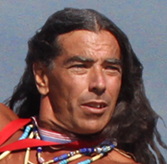 Ed (Eagle Man)McGaa is a Teton Oglala Lakota who was born on the Pine Ridge Indian Reservation. He is a former Marine fighter pilot who flew over one hundred missions in Vietnam and earned a law degree from the University of South Dakota. 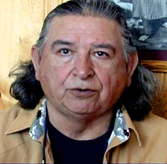 He is a prolific writer who has written numerous books including Native Wisdom: Perceptions of the Natural Way, Mother Earth Spirituality: Healing Ourselves and Our World, and Crazy Horse and Chief Red Cloud. Alex White Plume served as Vice-President and then President of the Oglala Lakota tribe on the Pine Ridge Indian Reservation from 2004-2006. He is the first farmer in the United States that planted, cultivated, produced and sold industrial hemp within the borders of the USA. Thomas H. ShortBull whose Lakota name is Sunkmanitu Isnala (Lone Wolf) received his BA and MA from the University of South Dakota. 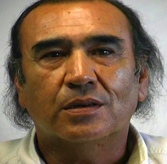 He has been President of Oglala Lakota College since December 1994 and from 1975-79. Since 1982 he has served as a part-time College Instructor and Consultant for OLC teaching courses in Tribal Law and Government, Federal Indian Law, U.S. Government, U.S. History, Lakota History, and Lakota Culture. He has served on the Board of Trustees of the Rapid City Regional Hospital in South Dakota since 2004. 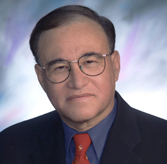 President Shortbull represented Rosebud and Pine Ridge Indian Reservations as a South Dakota State Senator from 1982-86, and was a strong advocate for Indian issues, education, and environment and health care issues. He also served as Director of the Rapid City Indian Service Council from 1980-81, Director of the Task Force on Indian-State Government Relations from 1973-75, and taught at Flandreau Indian School from 1969-70. Tom and Darlene, his wife of 38 years, have three children, his daughter Vanessa, a former Miss South Dakota, sons Frank and Paul John and one grandson, Brandon.